Here we are again. Collectively crying and praying and consoling and grieving after another massacre, and this one in a school with innocent little children brutally slaughtered. When will this end? How can we change things enough to bring this to an end? Or can we? We couldn’t even keep the post-9/11 goodwill going, which brought the people of this nation to our knees and back to church and made politicians drop their partisan bickering because we’re all Americans and we had just been attacked like never before. After the Tucson shootings politicians and media elites, worried about increasingly heated rhetoric, called for greater civility in the way we talk with and deal with each other, and that lasted a few days. We’ve suffered through Columbine, Virginia Tech, Ft. 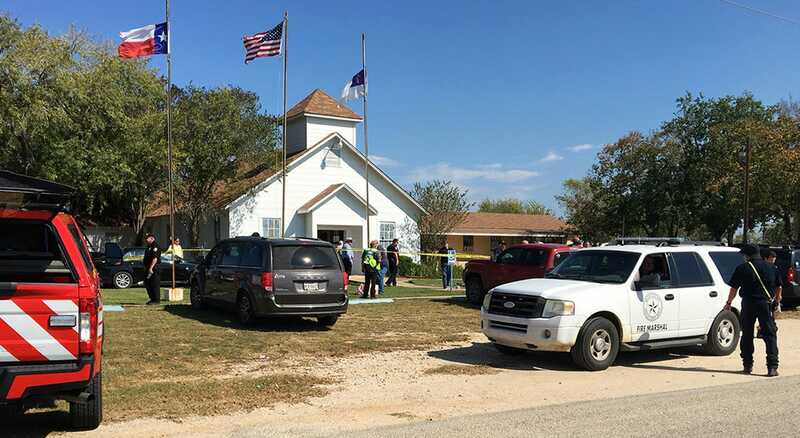 Hood, the Amish community attack for crying out loud, the Colorado movie theater massacre followed by the Wisconsin church shootings, last week’s shopping mall shooting spree followed quickly by the Sandy Hook elementary school murders. This is mind-numbing. We always say that. We always call these things ‘horrific’, because we’ve run out of superlatives to speak for the unspeakable, the horror beyond all telling. And yet it’s getting so commonplace we’re terrified that it could be just around the corner or right through the door for us. Who knows? No one. We can never know. So we look for answers. Even people of faith are shaken, badly enough that some are asking the oft-asked question ‘Where was God?’ How can there be a God if this evil is allowed to happen? Some are demanding new gun control laws. Some are crying out to eliminate the filth from the easily accessible entertainment culture. And some are raising questions about mental health issues in this country. These are questions that apply beyond this country. They call for discussion and very public attention to each one. So, here’s a roundup. On the presence of evil in the world. Fr. Robert Barron addresses this again and again. On violence in the entertainment culture. On our coarsened culture in general in this good column. Written by a USA Today sports writer. Much of the discussion in response to all the dead kindergartners in Newtown, Conn., will focus on guns, and rightfully so. If little girls gunned down at their desks don’t force the issue, what will? But it is so much more. What is it about us, that so many pull triggers? This was the act of a disturbed man, but why so many acts, and why so many killers? No new gun control law can answer that. The psychologists will eventually tell us their theories about this individual and why he picked up weapons one morning and decided to shoot 5-year-olds. If only it was as simple as one madman. Only as infrequent as one grim Friday. But it’s not. You wonder if we have created too fertile a breeding ground for violence. You wonder why the predominant emotion among so many of us so often is rage. And then you look around, and the way we communicate with one another. Yes. Exactly. That is violence, and it’s done freely and seemingly without limits every day in public discourse, if it can be called that. Yes, it’s the way we communicate with one another, dehumanizing the ‘Other’ because they’re not like us, or they disagree with us on big things that are very important to us. You look at our talk shows that once fostered thoughtful discussion and meaningful debate. Now they value one word only. Attack. Attack. Attack. The more vicious the better, because it sells. If rage and rancor are so much a part of our daily lives, it should not be a shock that gunfire breaks out. It has happened so often, that now when the first reports come, we ask the same questions, dulled as we are by mayhem. About the rage and rancor, and being desensitized to mayhem, we have to get sensitive to something else critically important to the welfare of humans and human dignity and the common good in society. We have to deal with mental illness. This mother’s story heart-wrenchingly exposes that overlooked and undertreated (and often terribly mistreated) sickness, of the person and the family and the state. Read it. Read it all. We still don’t know what’s wrong with Michael. His IQ is off the charts. When he’s in a good mood, he will gladly bend your ear on subjects ranging from Greek mythology to the differences between Einsteinian and Newtonian physics to Doctor Who. He’s in a good mood most of the time. But when he’s not, watch out. And it’s impossible to predict what will set him off. How common is her story? This problem is too big for me to handle on my own. Sometimes there are no good options. So you just pray for grace and trust that in hindsight, it will all make sense. I don’t believe my son belongs in jail. The chaotic environment exacerbates Michael’s sensitivity to sensory stimuli and doesn’t deal with the underlying pathology. But it seems like the United States is using prison as the solution of choice for mentally ill people. This is terrible. Unacceptably horrible for human beings who need help, but only get funneled into a damaging system that will make them worse and dehumanize them. Among all other such cries going up echoing this plea, the Pope made his petition, for peacemakers, echoing his predecessor. You, with your prayer and with the testimony of goodness, can offer a daily contribution to the cause of the pacification of hearts and the establishment of peace among men. I have come to tell you that the Pope relies on your hidden but effective contribution: ask God for the gift of peace to hearts, to families, and to peoples. Beloved ones! In the face of the tragedies of men, prayers may seem ineffective and vain, but they always open new glimpses of hope, especially when they are enhanced by the pain that is transformed into love. At the tail end of a television news interview with a law enforcement expert, he added: ‘as bad as this is, someone, somewhere is sitting out there planning something bigger than this.’ Yes, it’s a dangerous world. 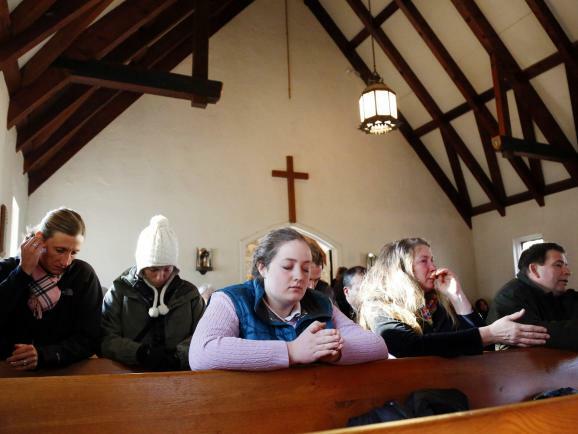 Sunday evening, a deeply moving interfaith prayer service was held in Newtown, Connecticut, where – as the chief of the state police put it in a press conference – evil visited. This time, please God, may the desire for change persist and prevail.